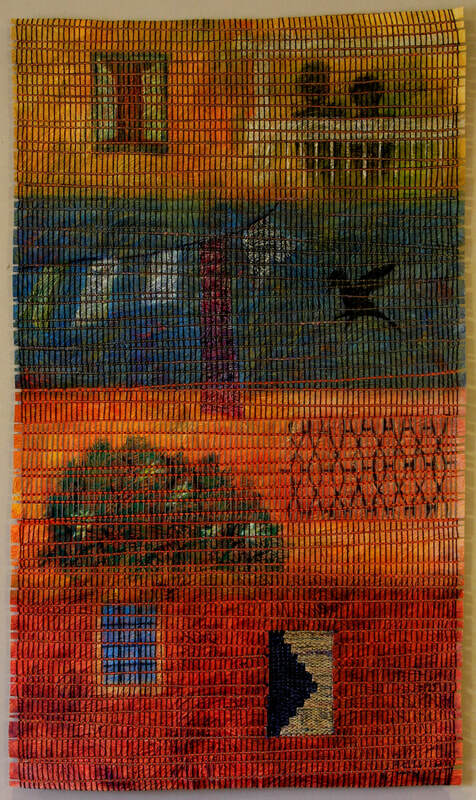 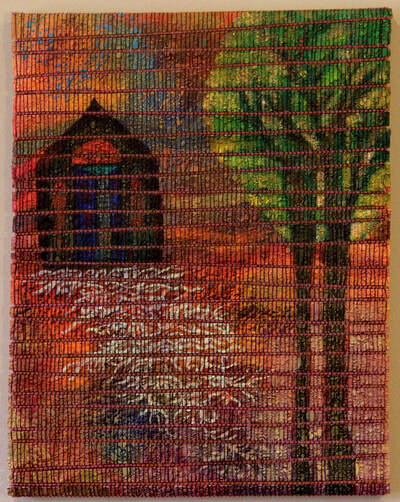 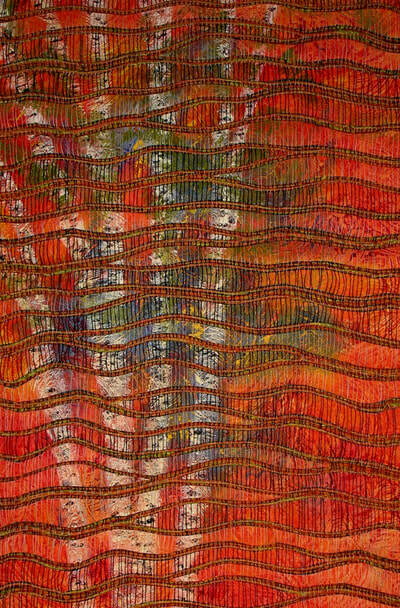 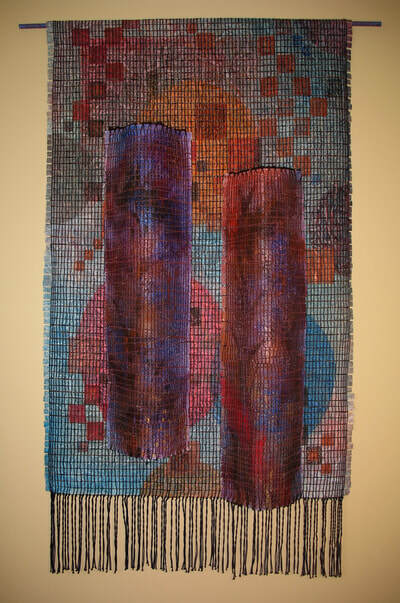 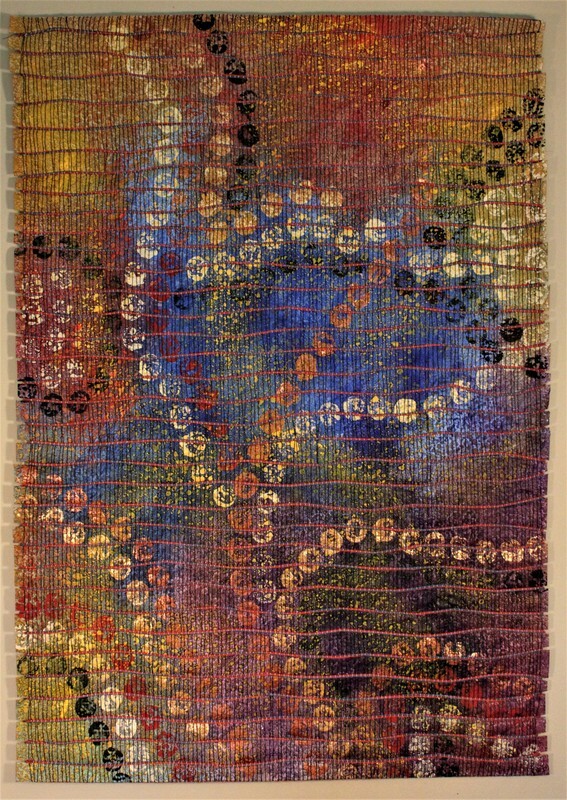 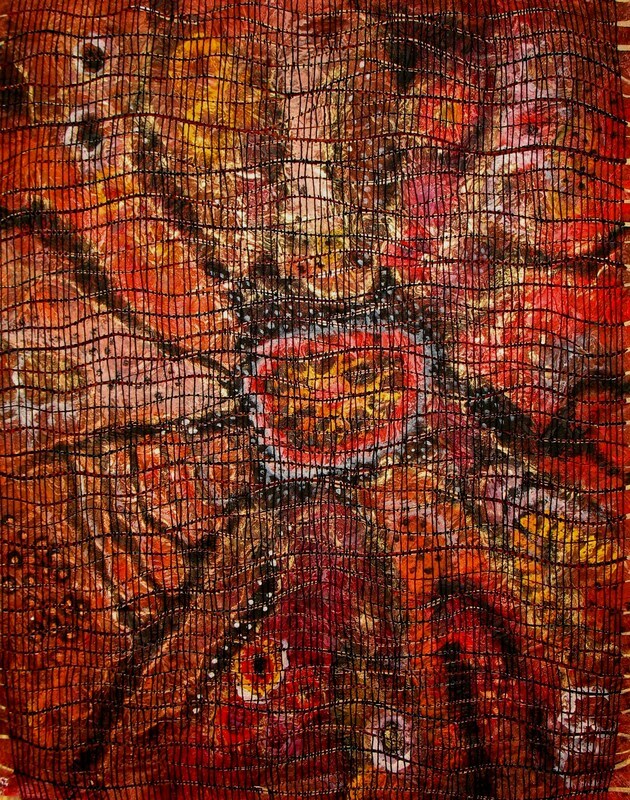 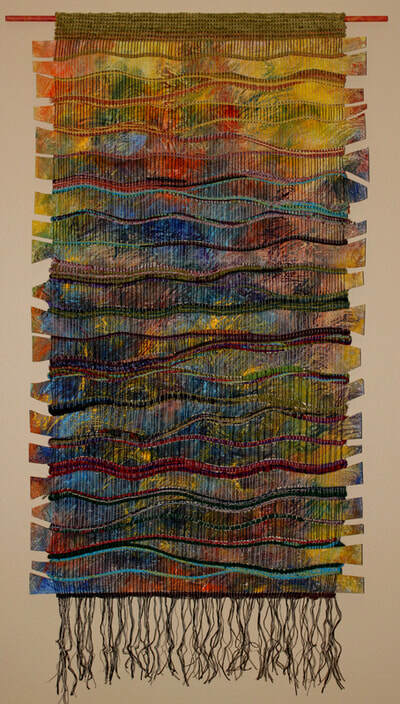 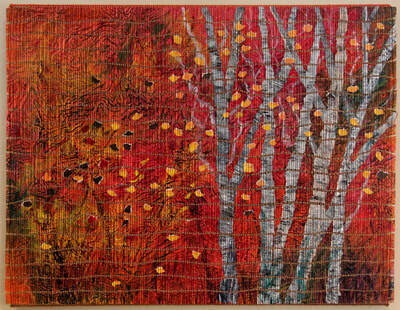 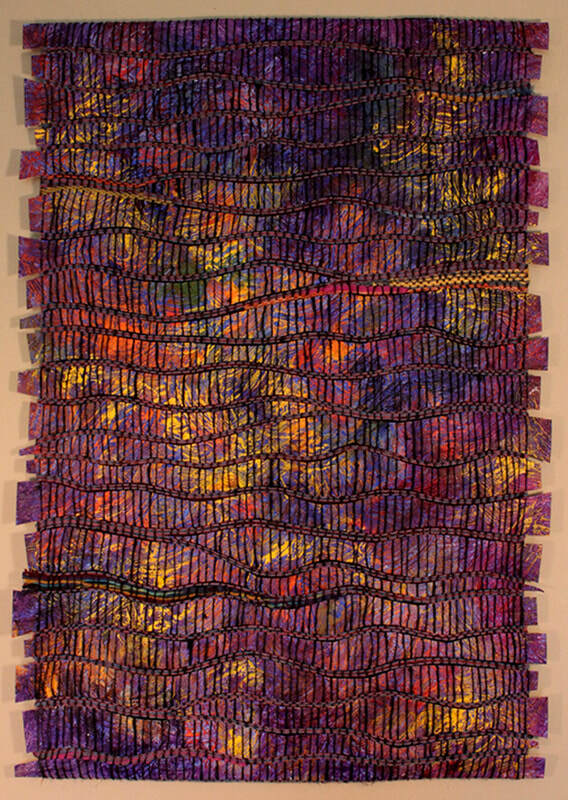 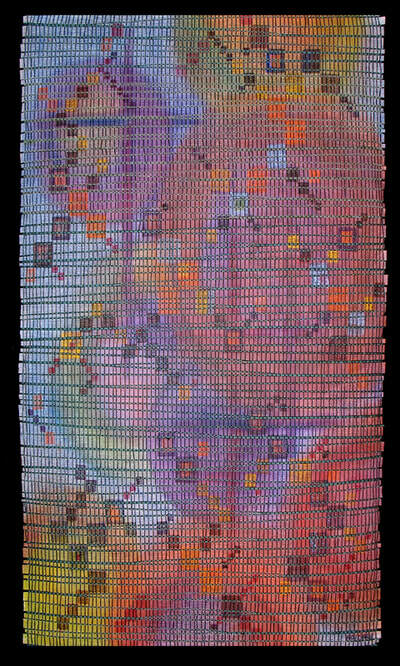 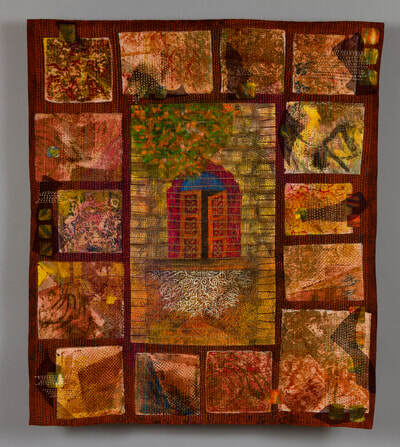 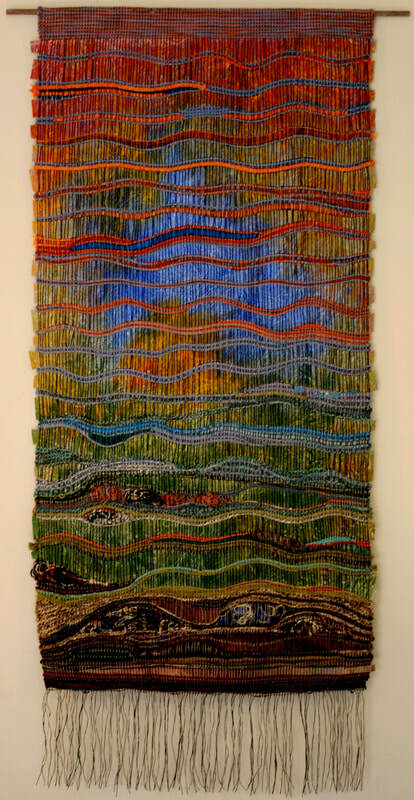 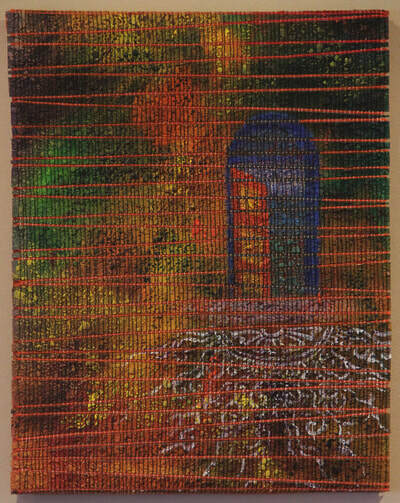 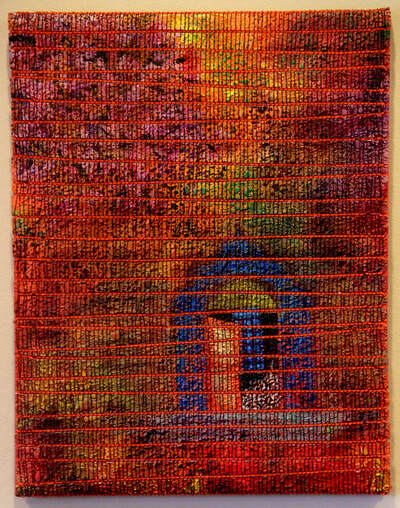 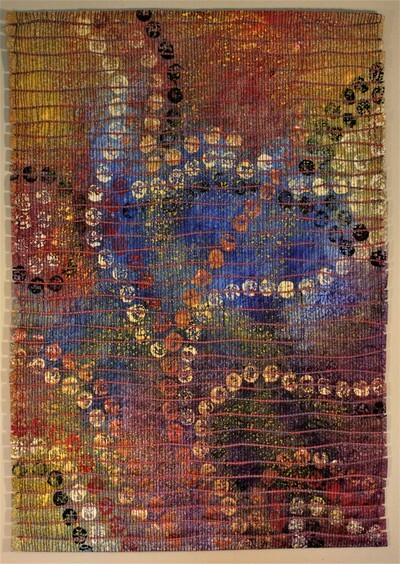 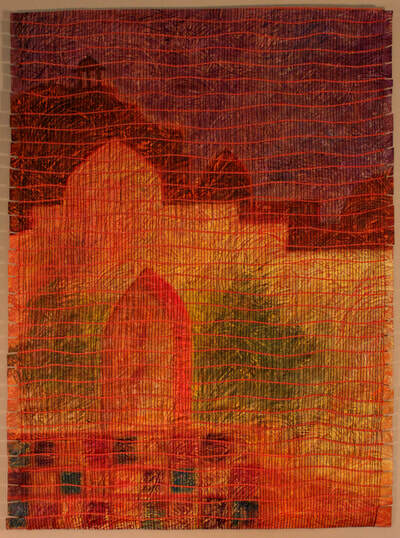 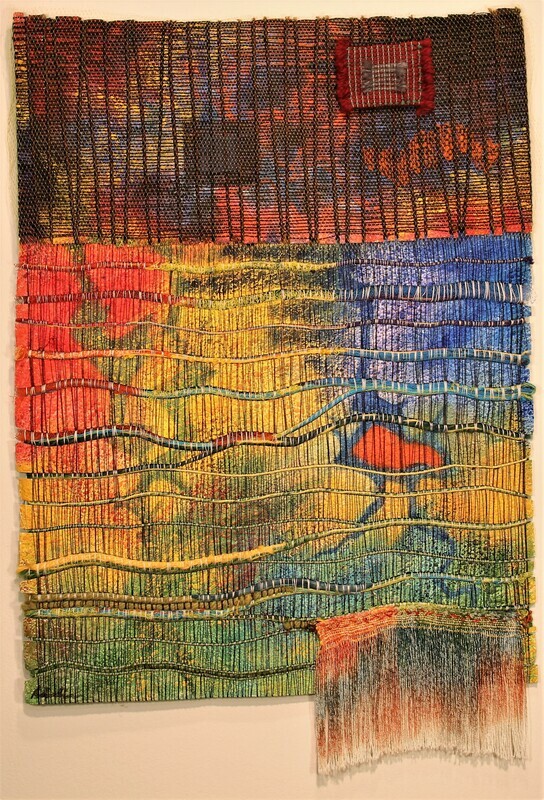 These have evolved from my love of painting and weaving, in an effort to create a different kind of tapestry. 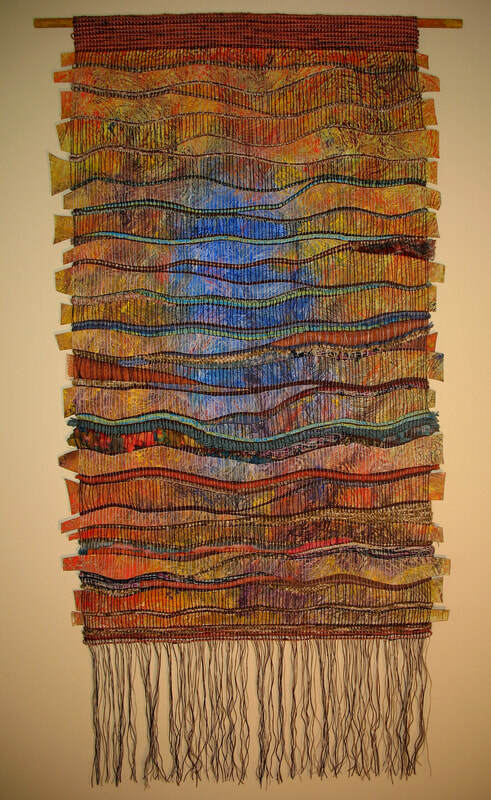 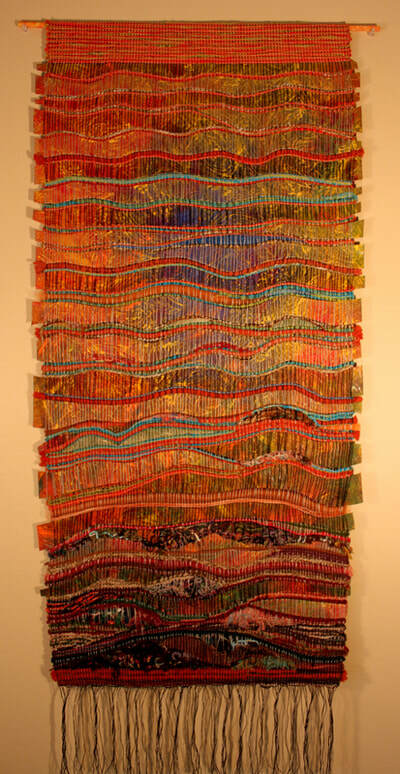 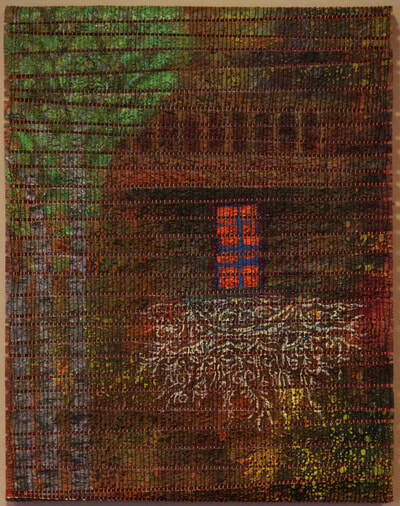 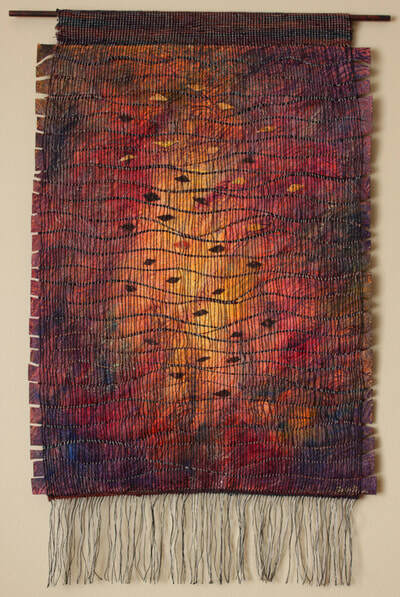 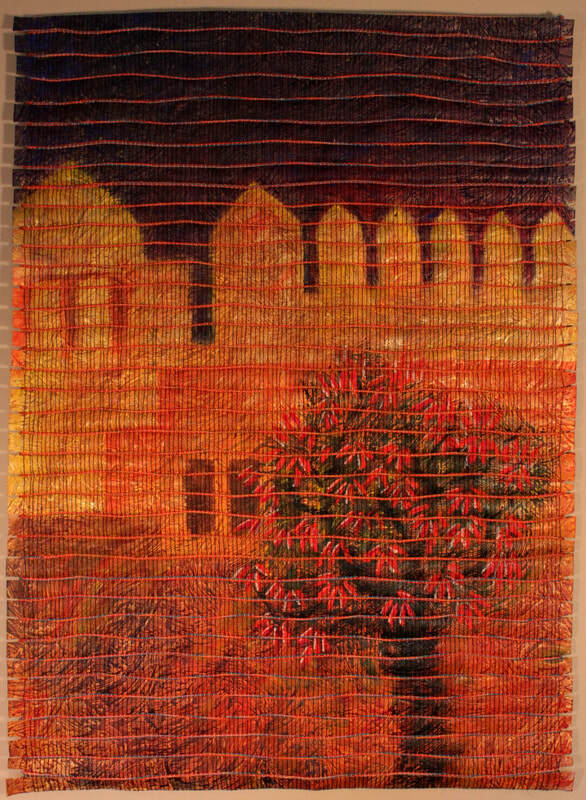 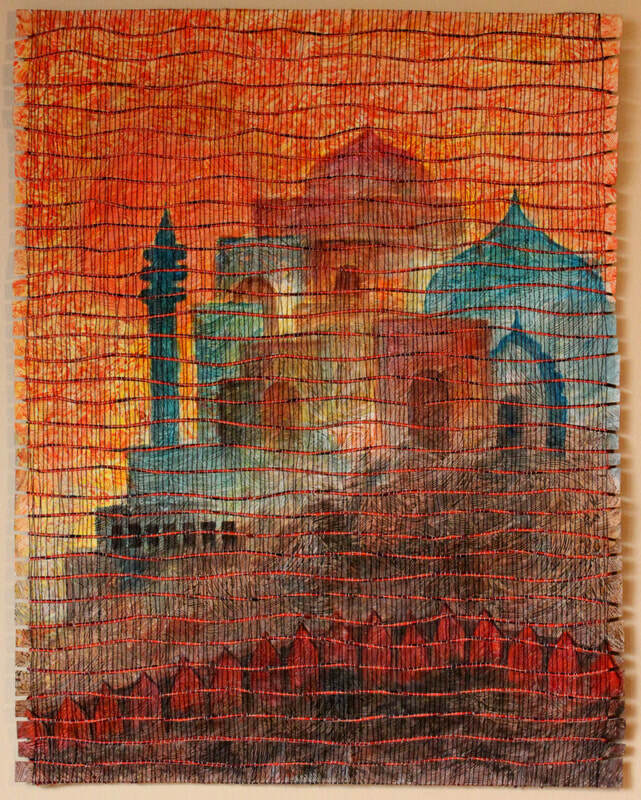 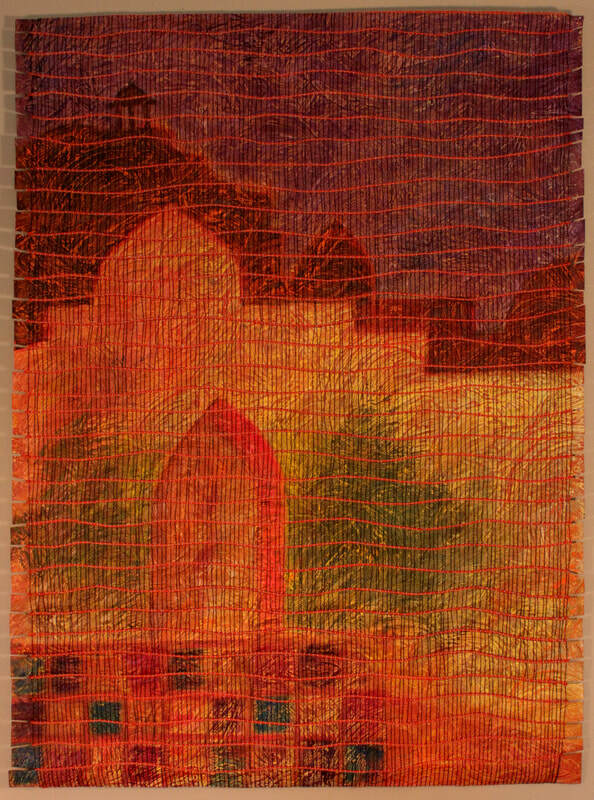 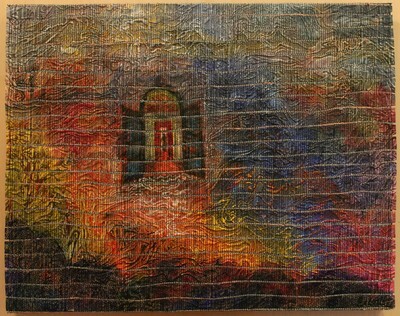 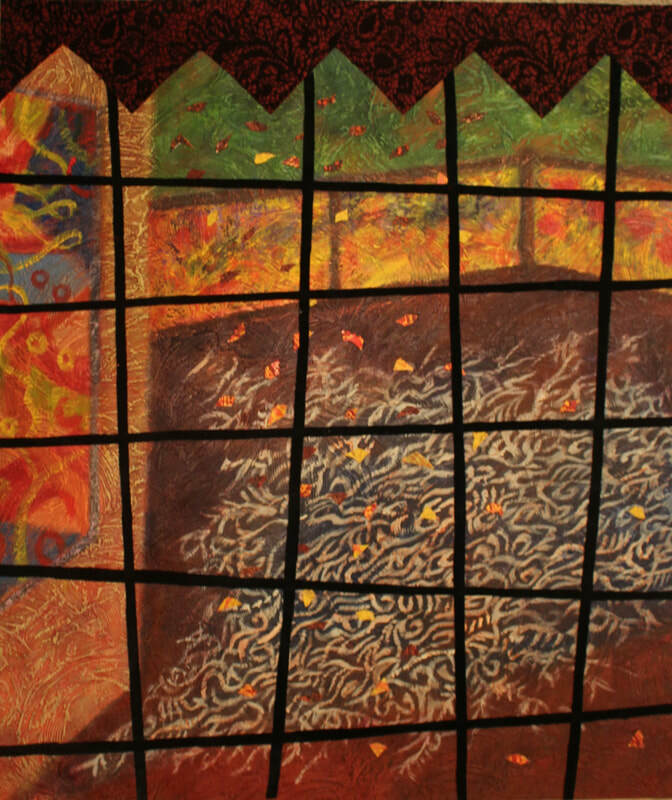 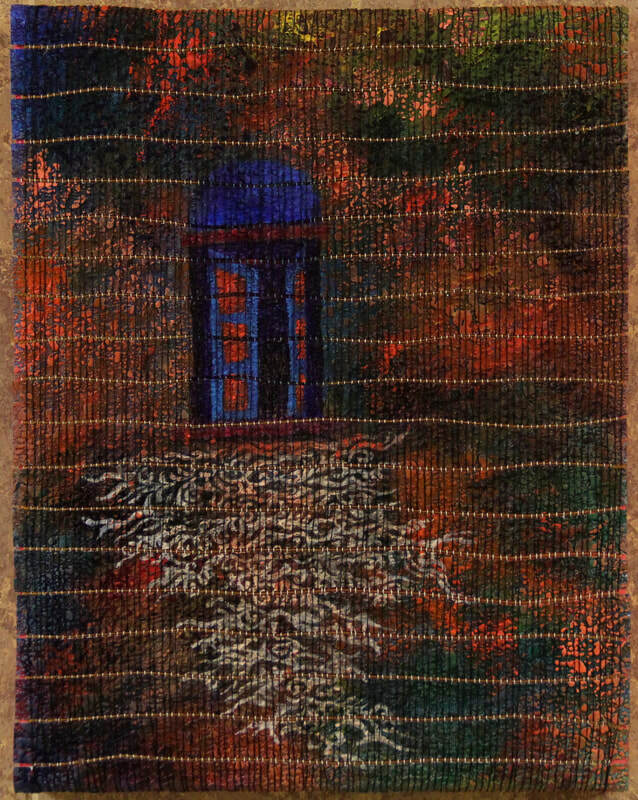 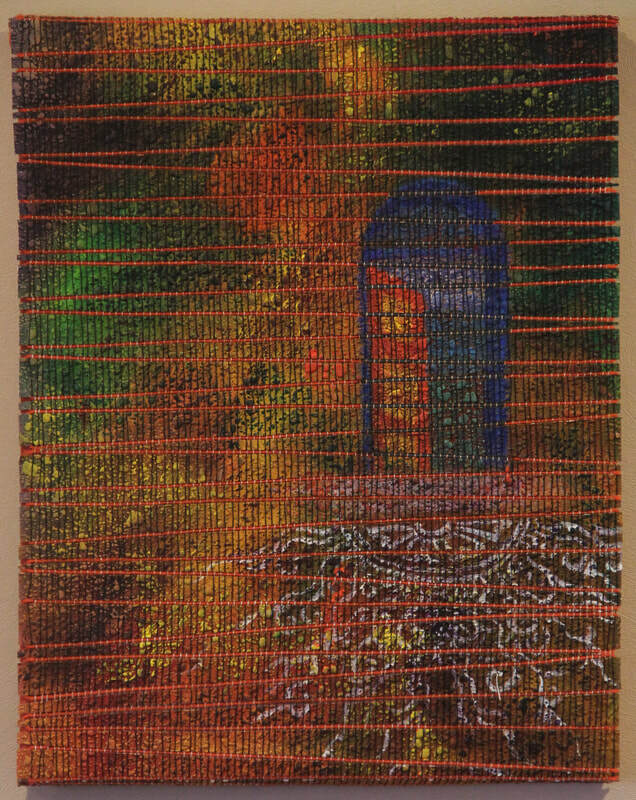 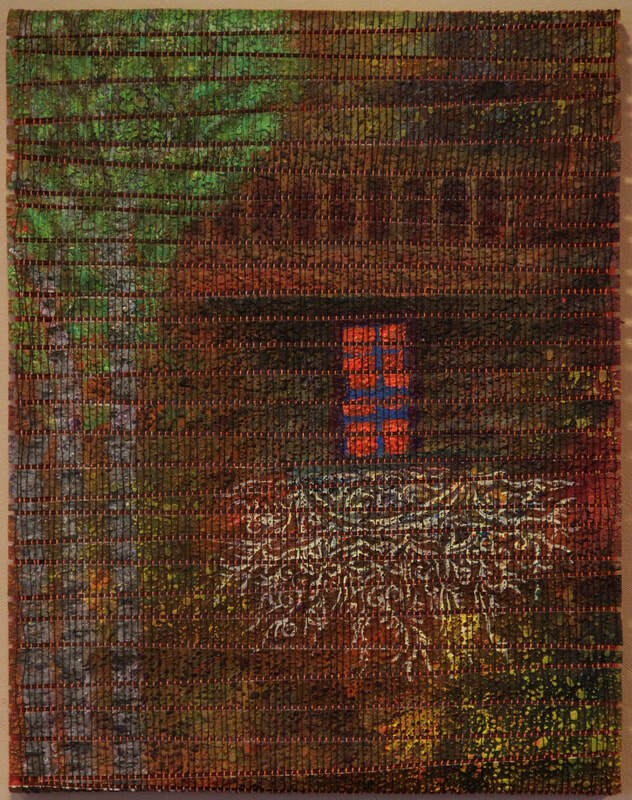 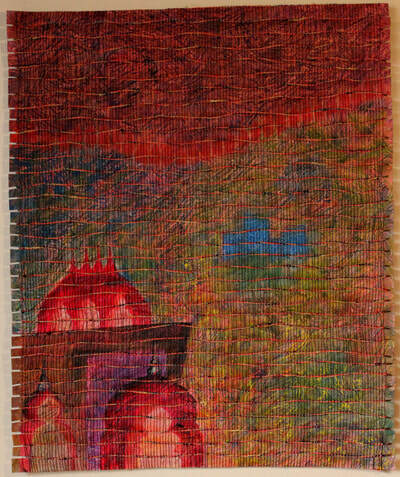 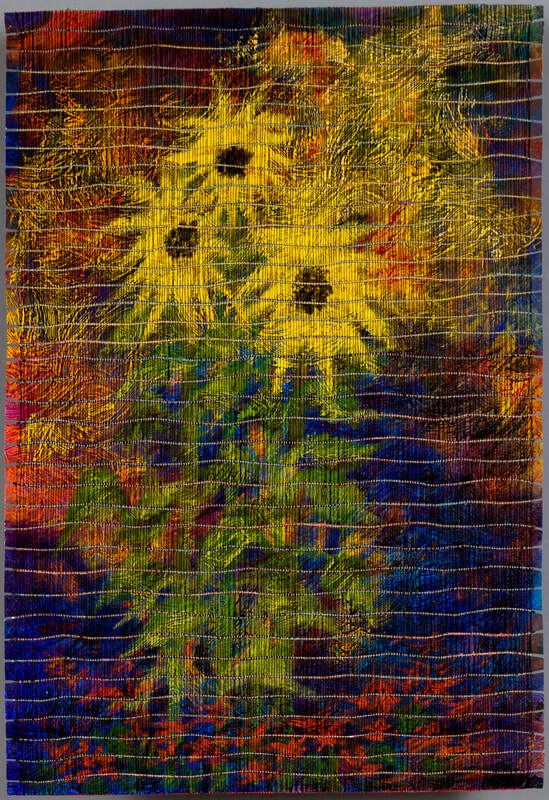 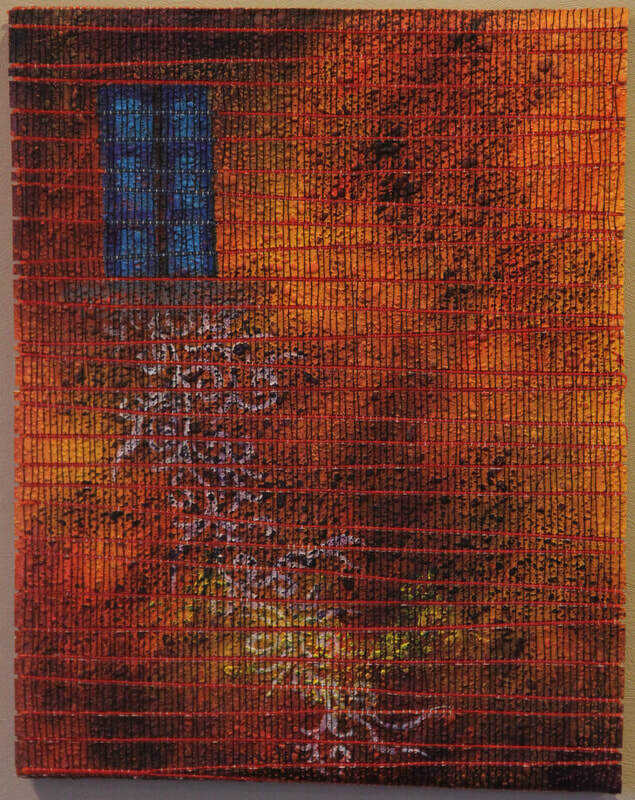 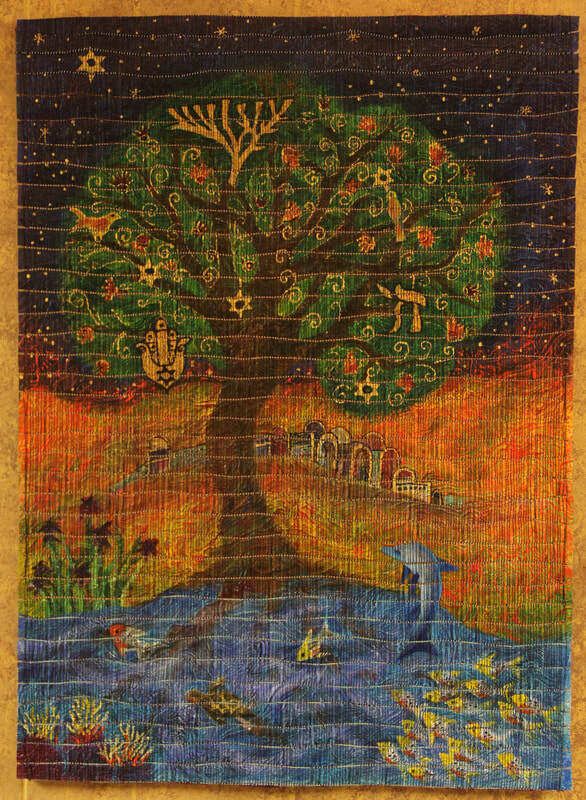 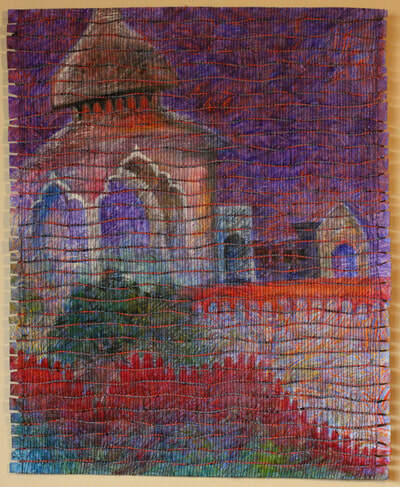 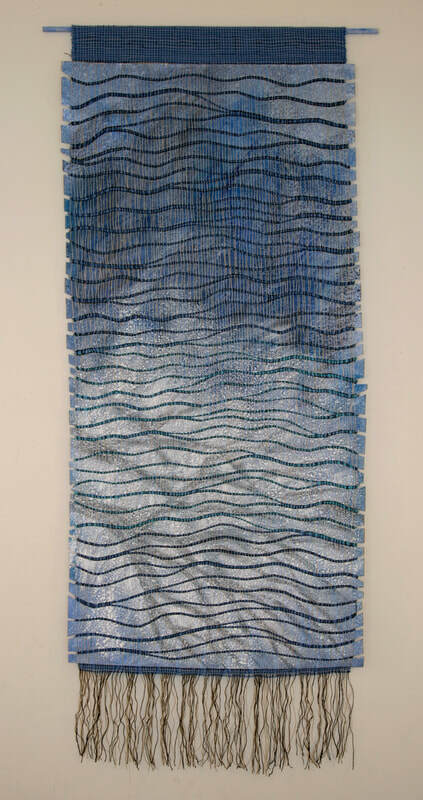 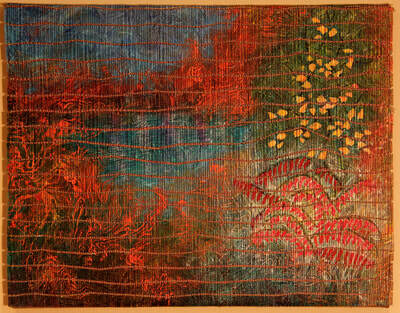 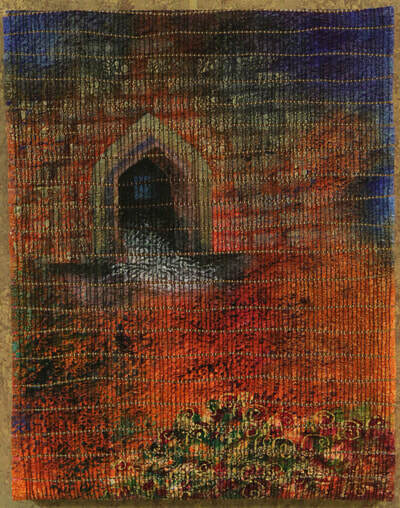 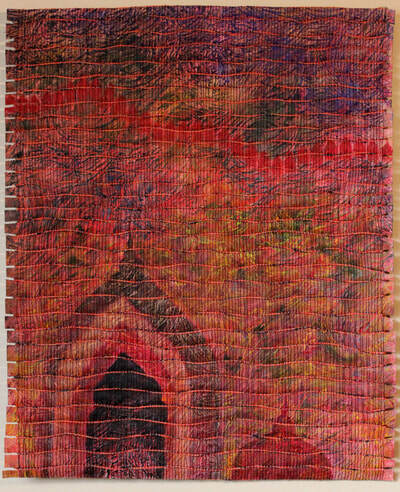 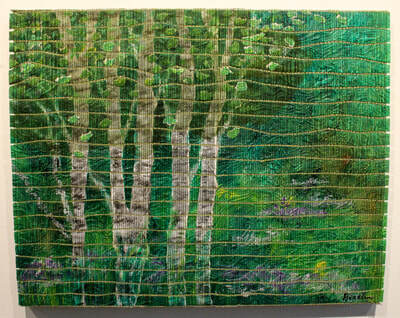 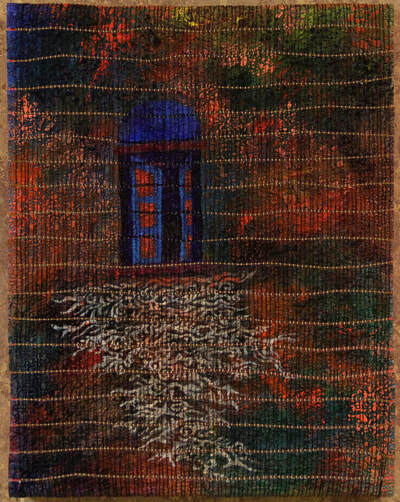 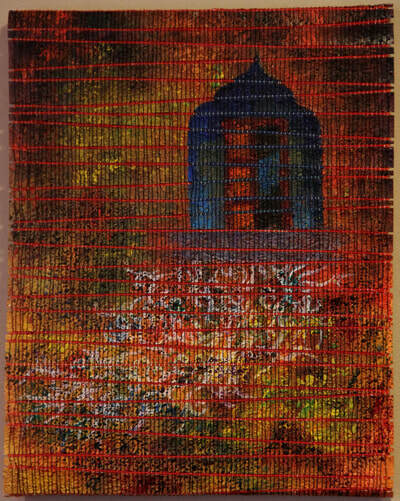 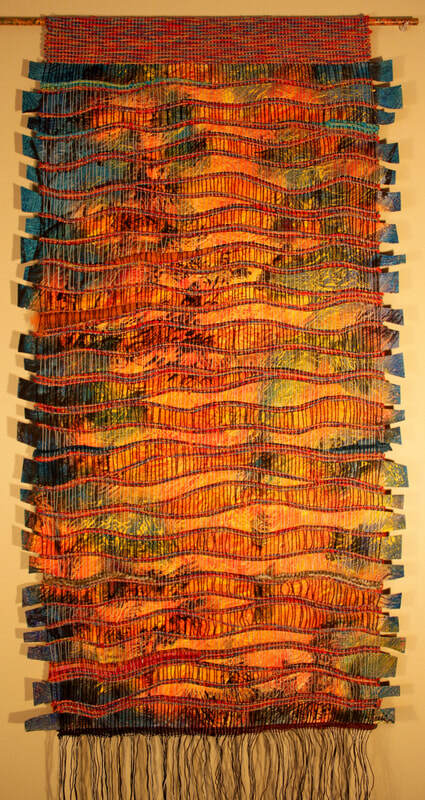 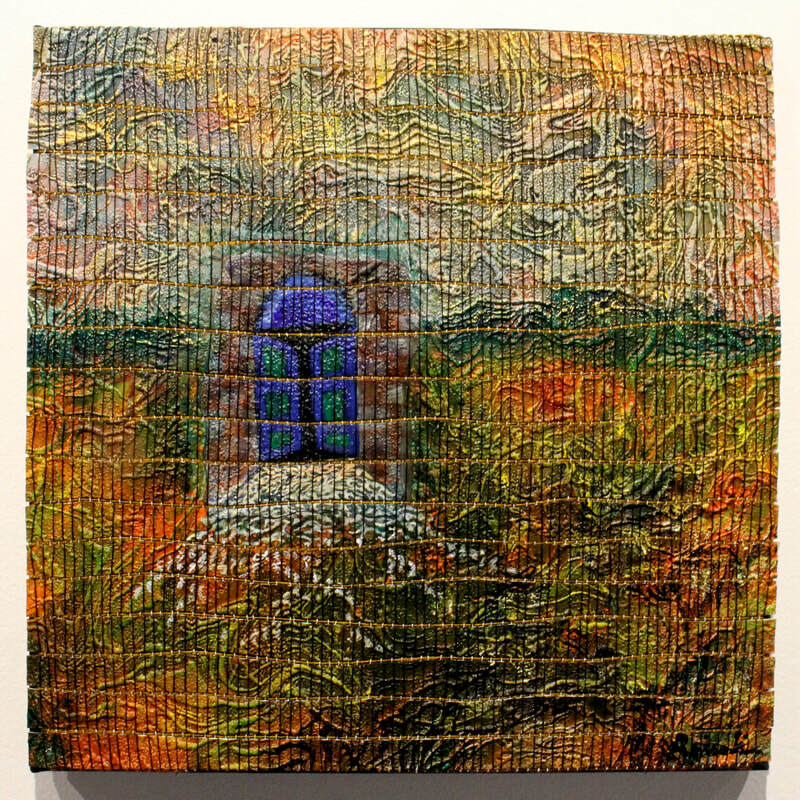 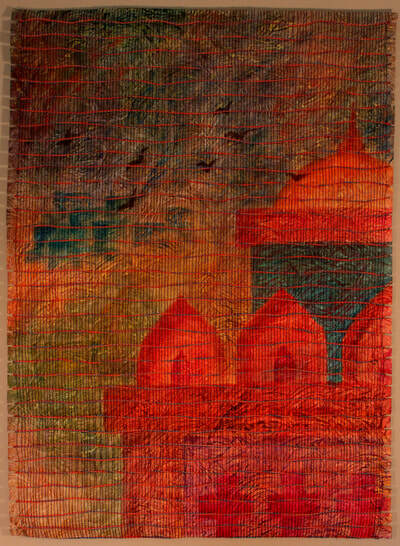 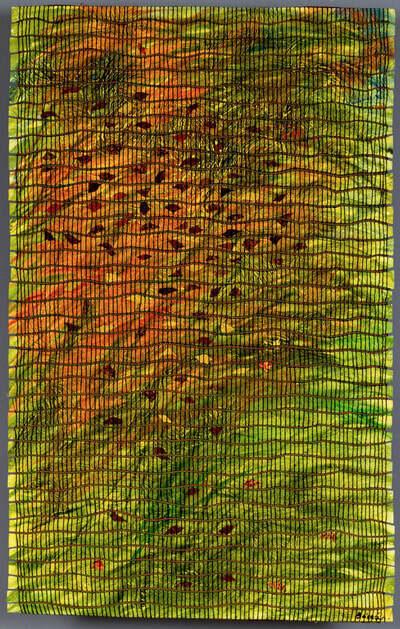 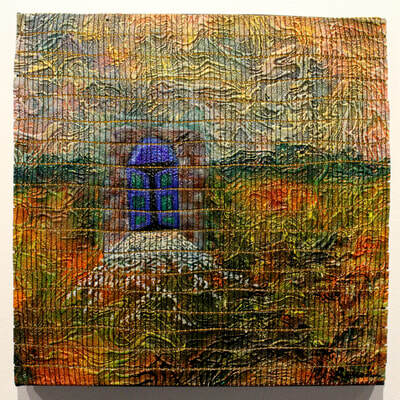 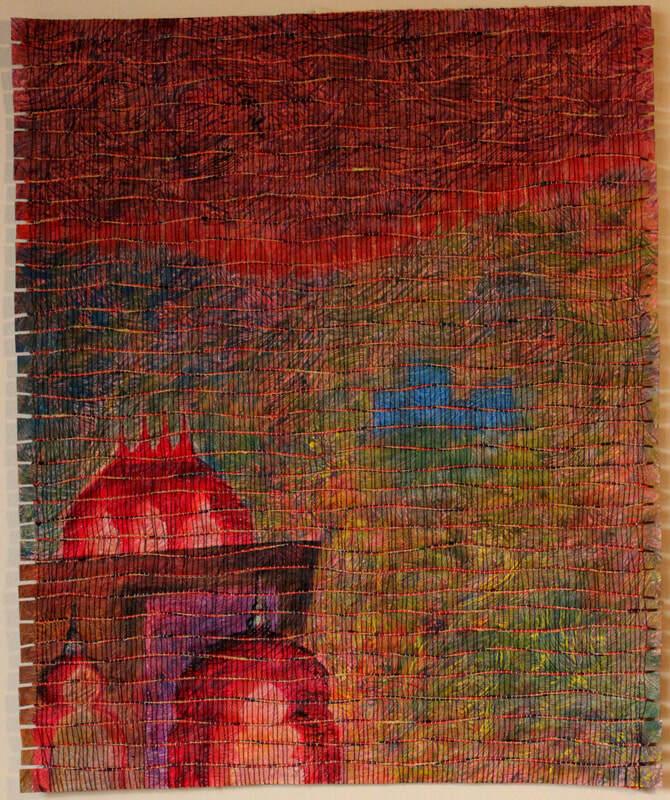 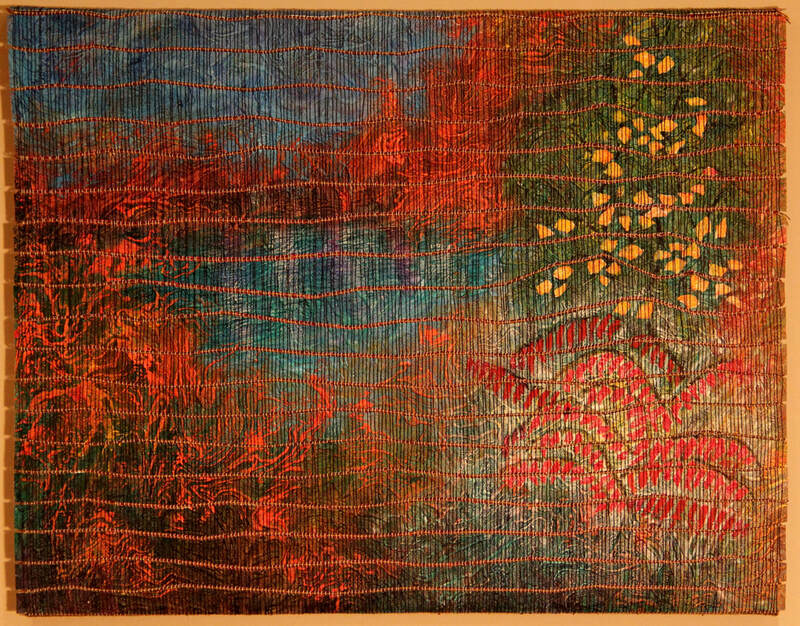 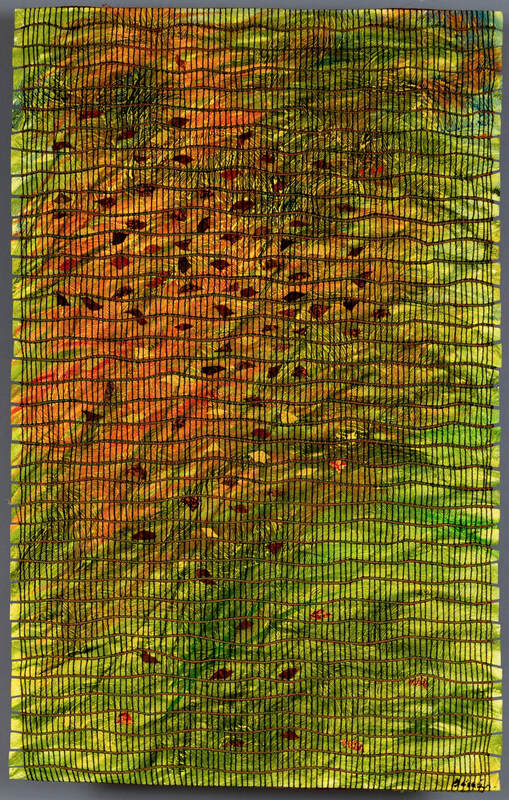 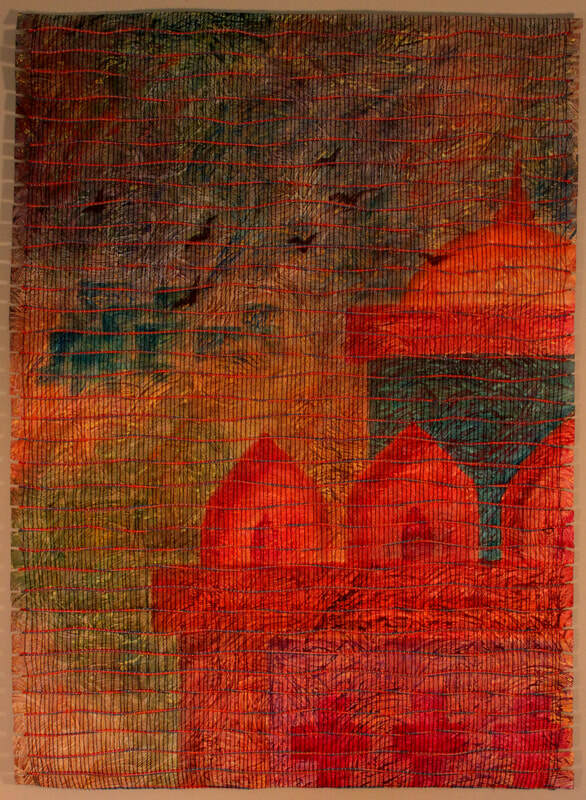 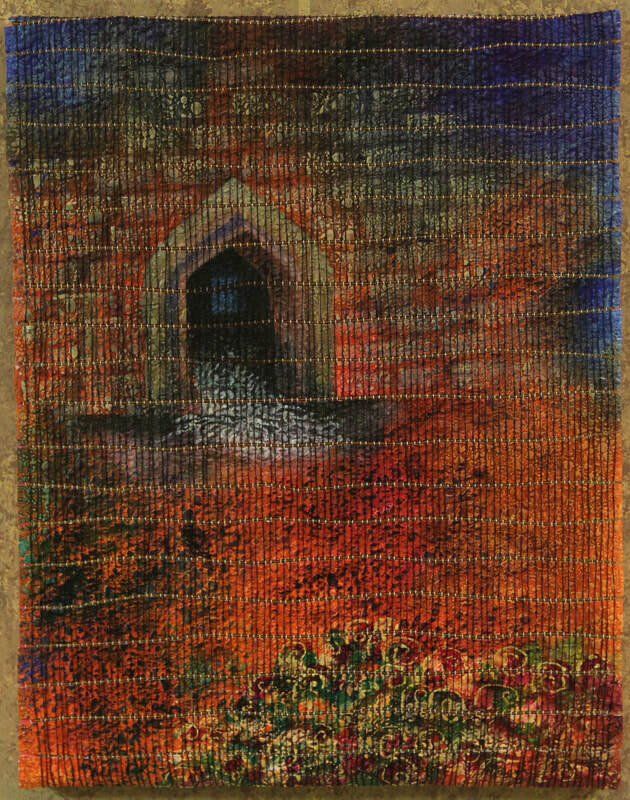 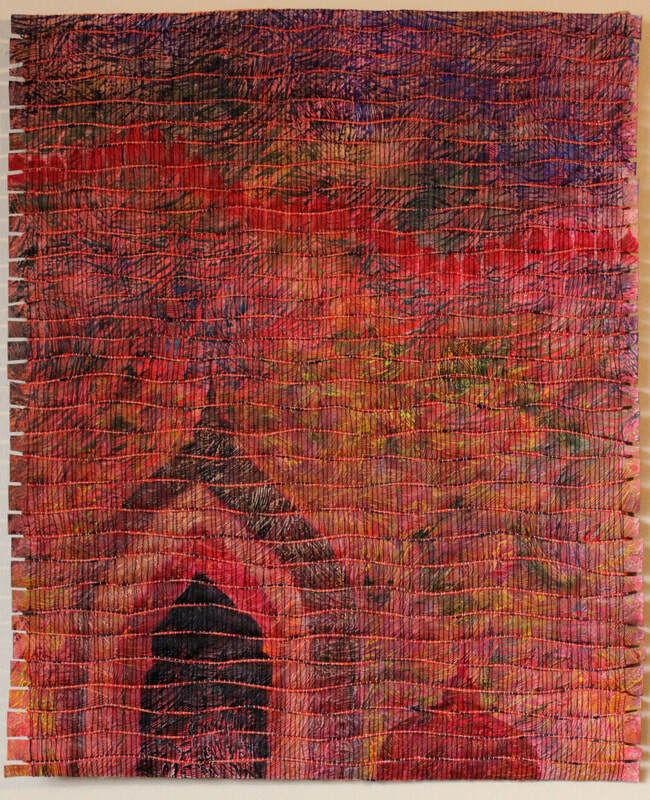 They are painted on paper and other surfaces and woven with strips cut from the paintings. 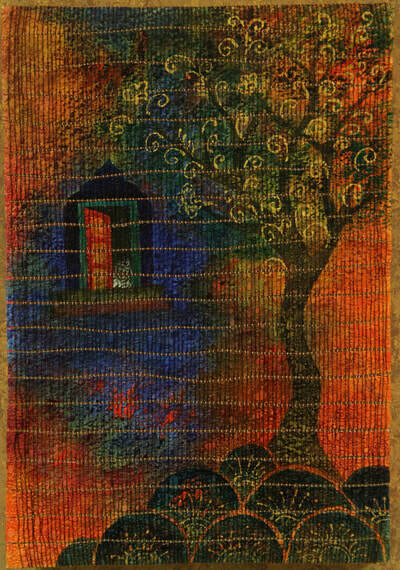 This is an ongoing series about the Portal as a metaphor, the gateway to both the worlds in my life. 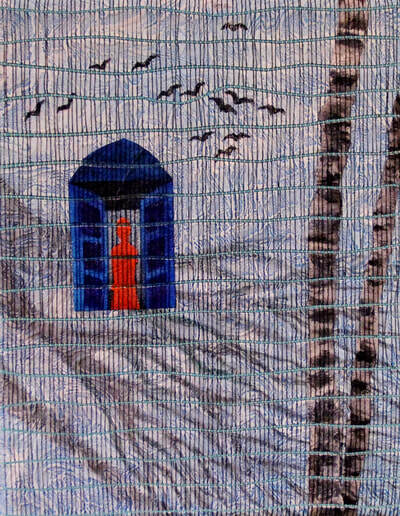 They are about the realization that as much as I have embraced my life here, somewhere the deep feeling for my homeland plays hide and seek with me. 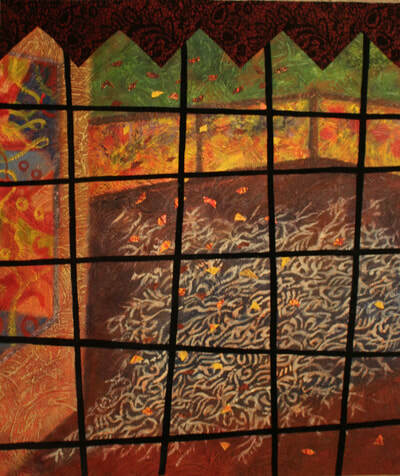 It's all about the memories, the nostalgia, the longing and the belonging. Places have tales and change so much that sometimes we can't relate to the changes, and sometimes they even become painful, leaving us in denial... but that sense of comfort of looking beyond the imaginary portals is always there.